The top stocks to watch today (Tuesday) are Valeant Pharmaceuticals International Inc. (NYSE: VRX), vaccine manufacturer Novavax Inc. (Nasdaq: NVAX), and Target Corp. (NYSE: TGT). On Monday, the Dow closed 15.68 points higher to mark 12 consecutive record high closes. If it closes higher today, it will tie the record of 13 record high closes set back in January 1987. The probability of a rate hike in March climbed to 50% from 35% yesterday. This is ahead of the U.S. economic data being released today. Reports being released today include GDP, S&P Case-Shiller home prices, Chicago PMI, and consumer confidence. This coupled with President Trump addressing Congress tonight about healthcare and military spending will likely push the Dow to its 13 record high closes. Valeant stock is down 4% in early morning trading after announcing Q4 earnings. Urgent: Don't miss out on the top IPOs to watch in 2017. The company announced a net loss of $1.47 per share compared to a net loss of $1.12 for the same quarter a year earlier. Revenue also declined this quarter to $2.4 billion. The same quarter a year ago saw revenue of $2.7 billion. VRX stock is currently trading at $16.71 for a gain of 15% year to date (YTD). Novavax stock is down 13% in early morning trading after releasing its earnings report. The company reported a net loss of $0.21 for Q4, which is an improvement over the net loss of $0.29 per share for the same quarter a year previous. However, revenue is down 8% over the same quarter a year ago to $5.4 million. NVAX is currently trading at $1.63 for a gain of almost 30% YTD. Target stock is down 13% in early morning trading after posting a disappointing earnings report. The company announced earnings per share (EPS) of $1.56, which is down from $2.32 EPS for the same quarter a year earlier. Adjusted EPS for the quarter were $1.45, missing analysts' expectations of $1.51. 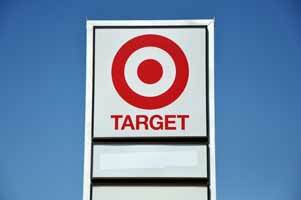 Target also saw revenue decline over 4% from the same quarter a year ago. Revenue declined from $21.63 billion to $20.69 billion this quarter. Currently, TGT stock is trading at $66.91 for a YTD decline of 7%. Editor's Note: Protect your money in 2017. Know exactly what to buy and what to sell.